Since we had all those turkeys for our Starry, Starry Night dinner, we had the opportunity to make a lot of turkey stock (and to save a lot of shredded turkey meat). We've sinced used it for making turkey congee -- especially after finding out an easy way to make congee from leftover rice, courtesy of Kits Chow -- and for this, making Turkey Tortilla Soup. We've made chicken tortilla soup a lot of times before, using this quickie method. To recap, we buzz together some chipotle peppers (packed in adobo), tomatoes (fresh or canned) and onions. We add stock (turkey, this time) and the shredded meat, and let the whole thing simmer for a bit. We adjust the seasoning too (salt and pepper). Then, it's a mad rush to see if we have any other possible toppings: jalapeño peppers, cilantro, avocado, cheese (we don't have easy access to queso fresco, so we like feta for this purpose), and lime wedges. This soup could easily be made vegetarian by using vegetable stock and canned beans. 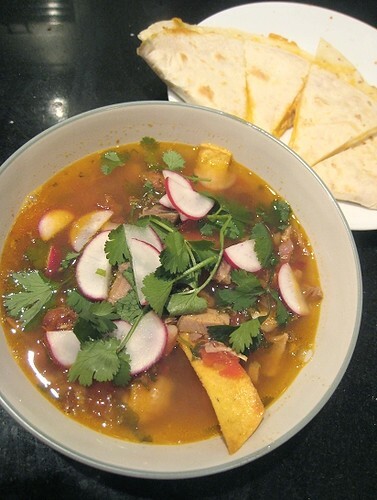 To serve, place some corn tortilla chips into a bowl and spoon the soup over. Add desired toppings. 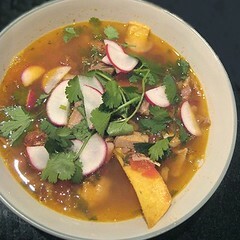 This is the first time I've added radishes, and I must say, they were really good with the soup! We made a quick quesadilla with Tex-Mex cheese (our shameful non-secret) to eat alongside. I don't think I'll tire of this. 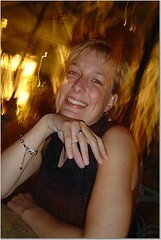 Ingredient amounts can be adjusted to suit individual tastes. In a stockpot, bring water or stock to a boil, then lower heat to simmer. If you wish, add an onion and some cilantro stems. Add the chicken breast(s) and poach in the liquid until cooked through. Remove cooked chicken from the broth and let cool slightly. Shred chicken meat. Discard onion and cilantro stems, if using. Simply use chicken broth and buy cooked chicken (like supermarket rotisserie chicken). Simply use vegetable stock and any canned beans of your choice. 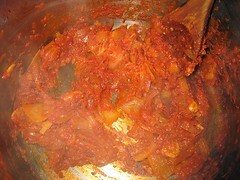 In a food processor, add onion, tomatoes, chipotles and adobo sauce. Process until puréed. Heat your stockpot over medium heat and add a little oil. 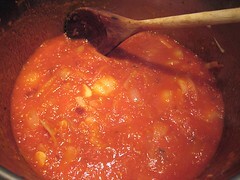 Add puréed mixture and cook until it has thickened, stirring occasionally, about 15 minutes. Add broth. Bring the mixture up to a boil, then lower the heat. Add chicken and let the whole thing simmer, about 10 minutes. Adjust seasoning (salt & pepper). In the meantime, prepare your preferred toppings. Lime wedges and cilantro could be considered the minimum. 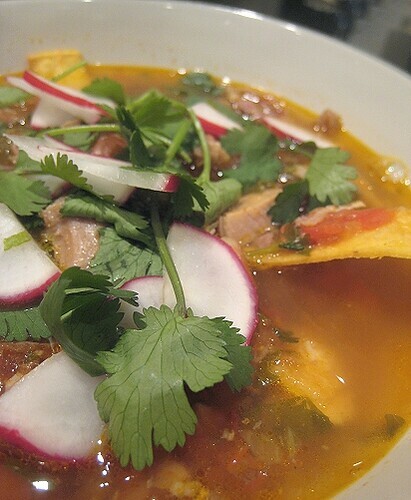 In your servings bowls, add a little bit of corn tortilla chips, then spoon the soup (with meat) over it. Each person can add the toppings they desire. This reminds me of tom yum soup..somehow..haha. 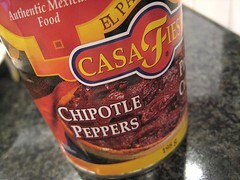 I've got to find this chipotle peppers! I loved the addition of the radish. It's adds a little crunch and color. This is a fabulous soup! I love it. Thanks for mentioning my post. Looks so easy and flavorful! Hehe... they come canned... Actually, Mexican ingredients are not too easy to find in Vancouver either. I didn't use to like radishes... but I guess they have their applications. ;) They were really good in the soup. Love that you served this with radishes on top. My favourite tacqueria out west used to serve whole radishes in a little paper dixie cup. A great refreshingly crisp counterpoint to spicy well-seasoned food. Our soup was a little lonely in terms of toppings, so in went the radishes. And all for the better!